I have bought a jar of Claussen kosher dill pickles. I went as far a taking a spoonful of the seasoning at the bottom of the jar out. When you look very close there is fennel seeds, celery seeds, minced garlic, pepper corn and I’m not sure what the flakes of red is. However, I’m trying to figure out how much of each to put in the recipe. Plus it says on the jar never heated. So how do they get all the ingredients to mess in cold. If you have any idea of what to do I would love it. I have followed a lot of the copy cat recipes but I can’t get them to turn out. Tell the truth, I usually drink most of the pickle juice from Claussens Pickles before all the pickles are gone. The only Ingrid better is opening the 2d jar. William, I’m looking at recipes specifically for that reason- to drink the pickle juice. It helps with my stomach (I’ve had my gallbladder removed) and the pickle juice helps with excess stomach acid. I drink it daily and it’s getting expensive to buy pickles every day, so I’m going to try and make my own pickle juice. Wish me luck. Tried this recipe and they turned out tasting horrible! Sorry it didn’t work for you Lori. I have a large jar of these in my fridge right now and they taste great. 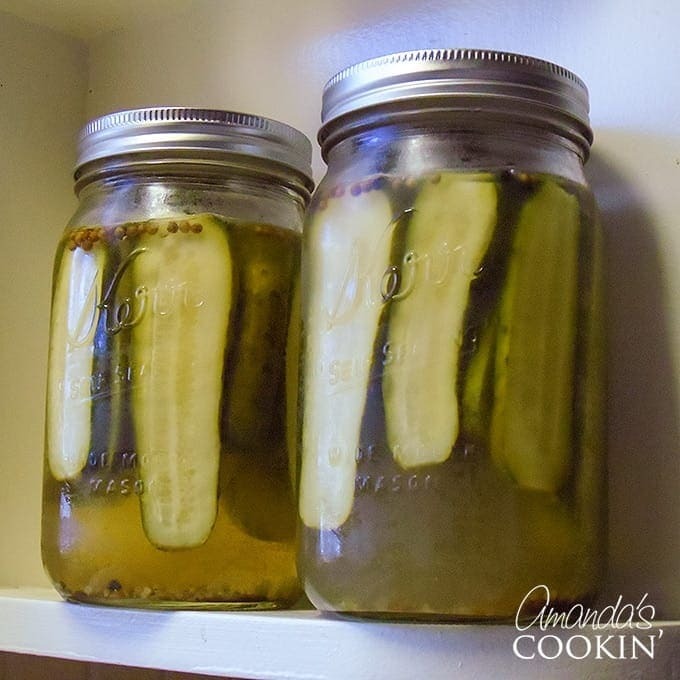 Hi, I as wondering where’s the best place to get pickling pickles? Iam going to start my first batch.I also just bought rubbber ids with pipes to release air so I don’t need to stir. Best recipe I’ve tried! I added a couple cloves of garlic to my jars. Already bought a 6 months supply of cukes and ready to make em tomorrow! This year’s batch is on day 3 on the counter right now :) Love these! Is there a way to make this recipe water bath canning safe? I want to make a lot of jars and store them for the year. I’m afraid I cannot give advice on canning as it’s not something that I do or have vast knowledge in. 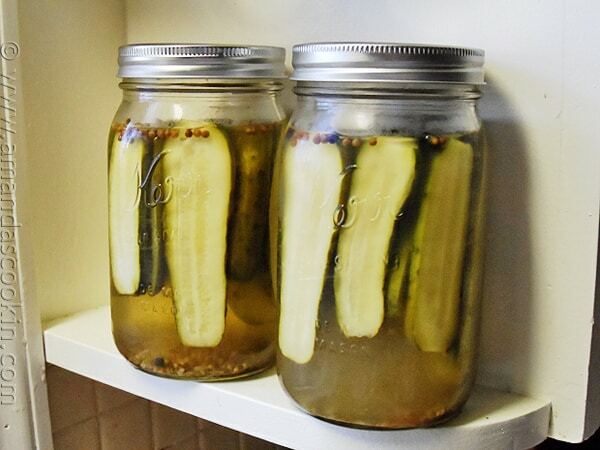 This recipe is meant for refrigerator pickles, sorry! These were spot on! 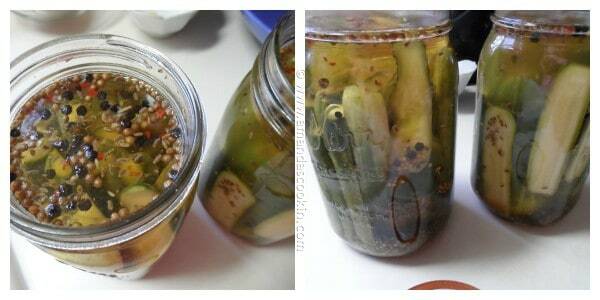 I substituted pickling spice for most of the spices, added a whole bulb of garlic, 1/2 cup pickling salt. 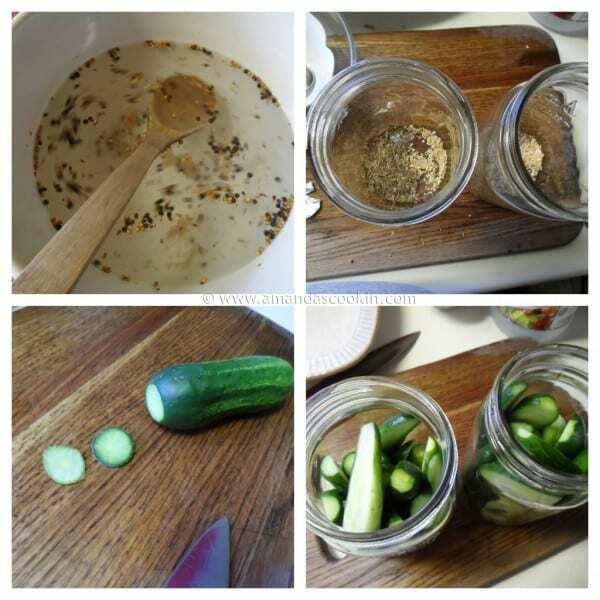 Tbps each of onion and garlic powder “i love garlic pickles”. They came out just like claussens! Yay so glad you enjoyed them! AK, can you please tell me what brand of pickle spice you used? 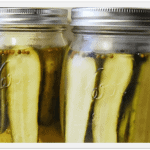 I love claussen pickles! And to be able to make them! OMG! The pickles arent fermenting,that takes weeks sometimes a month. This is called fresh pack,and you should really heat the liquid almost to a boil,then let it cool and fill the jars,then leave on the counter for a few days before moving to the fridge.that will kill the bacteria and make them safer. There shouldnt be any slime,foam or FUZZ. That is mold or bacteria and you can get sick. Hi, these are amazing. We love them. I’ve been told that they’re even better than Clausen! 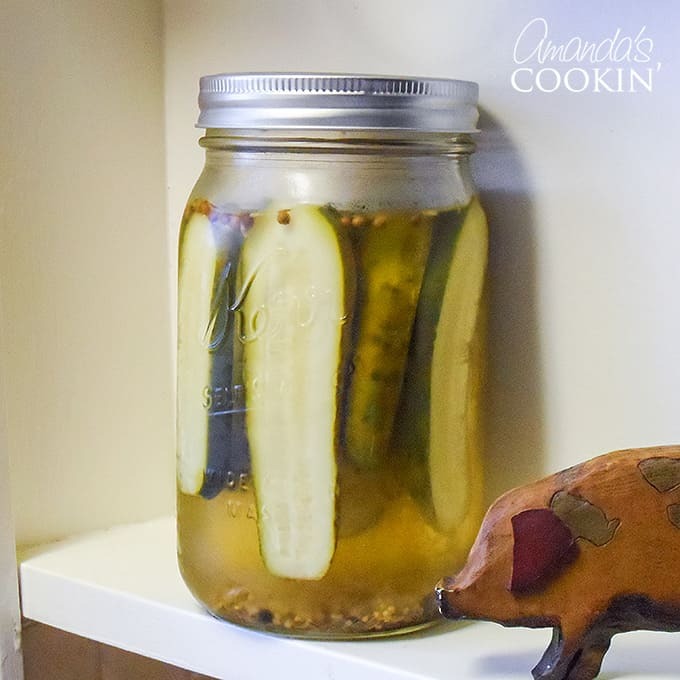 Do you have any tip on how to keep the Pickles from floating up out of the brine so they don’t mold? They’re floaters! Thanks again! I do not have dried garlic. Will fresh work? Yes fresh will work. You will have to change the measurement for this recipe to one clove or 1/2 teaspoon fresh minced garlic. I have made 4 batches of these so far and we love them. After the first few batches I modified the recipe. I have doubled all spices but not the liquid. I also only add the salt to the liquid and the spices direct to the jars. It seems easier. Thank you for this recipe! I love that you made a recipe for this! I love Claussens too. I made 1 batch of brine that I split into 2 Mason jars and one jar came out super crunchy but a bit lacking in flavor (not super acidic, salty and a little watery) and the second jar was super flavorful (salty, briney, even had a slight effervescence to it) but SO soggy, what happened?? If you can offer any advice, I’d greatly appreciate it! :( I ate the first jar but think I am going to have to turn the second one into relish..
You said you made the brine and then split it into two batches… the only conclusion I can come to is that when splitting it the brine was either not completely mixed and it didn’t split evenly, or there weren’t enough of the pickling etc transferred to the second jar. Thank you for sharing this recipe! I love trying to replicate the pickles we love to eat from the grocery stores. You can make them for cheap and they will likely be more healthy too! I can’t wait to try this at home. Thank you again for sharing! Be sure to let me know how they turn out! :) Best of luck! Thanks so much for this recipe. 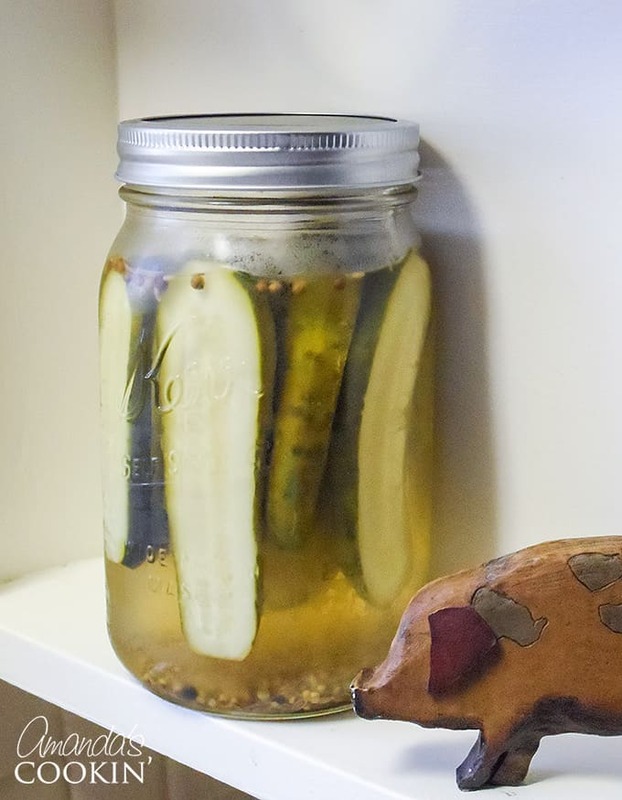 I tried another recipe before finding this one and the pickles were good but way too much of a vinegar taste to suit me. I made a few small tweaks since I like a hearty garlic taste combined with some heat. I made a gallon jar and they only lasted about 2 weeks. Everyone who tries them can’t get enough ! I’m all out now so I’m getting ready to make 2 more gallons !!! Every jar went mouldy. So disappointed. So sorry that happened! Check the troubleshooting tips in the post. Hope you have better luck next time. 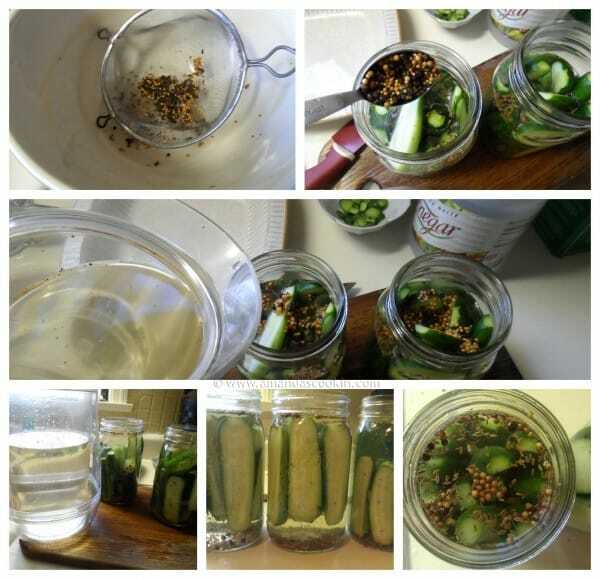 I made these on Saturday afternoon and having used larger pickling cucumbers, I was going for the longer time on the counter to allow the cucumbers to fully absorb the brine. Unfortunately when I went to tighten the lids and put them in the fridge this morning, every jar was moldy. Very bummed. I did taste them every day (except yesterday when I was just running nonstop) and they were a little mustard-y for me, so I will try this again but I will cut down on the mustard. I’m not a fan of mustard at all, so I’m probably a little over sensitive to it. A little goes a really long way for me.